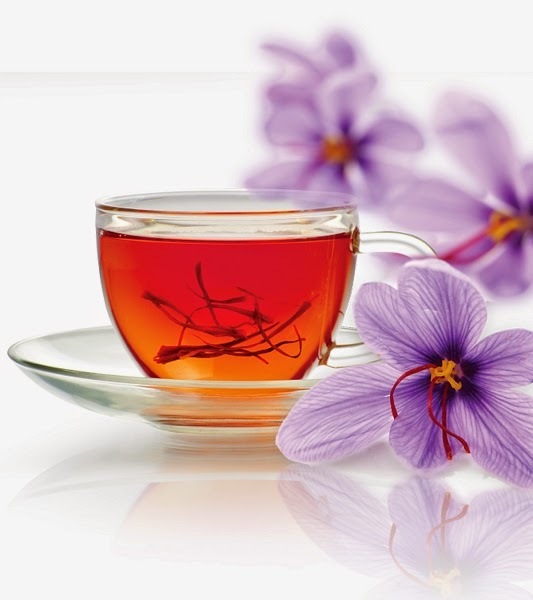 Saffron is a spice derived from the flower of Crocus sativus, commonly known as the saffron crocus. Crocus is a genus in the family Iridaceae. Saffron crocus grows to 20–30 cm (8–12 in) and bears up to four flowers, each with three vivid crimson stigmas, which are the distal end of acarpel Together with the styles, or stalks that connect the stigmas to their host plant, the dried stigmas are used mainly in various cuisines as a seasoning and coloring agent. Saffron, long among the world’s most costly spices by weight, is native to Greece or Southwest Asia. 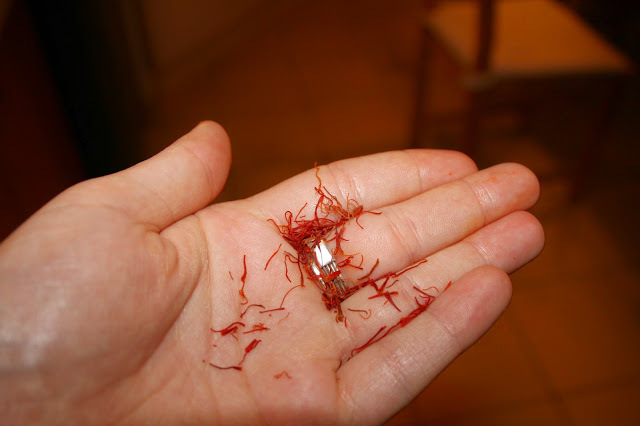 Saffron’s taste and iodoform- or hay-like fragrance result from the chemicals picrocrocin and safranal. 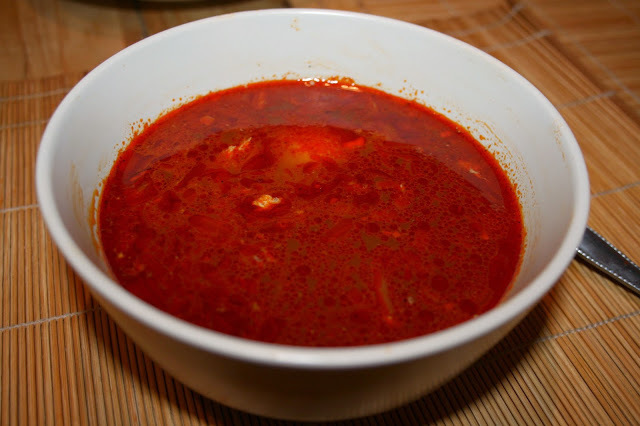 It also contains a carotenoid pigment, crocin, which imparts a rich golden-yellow hue to dishes and textiles. Its recorded history is attested in a 7th-century BC Assyrian botanical treatise compiled under Ashurbanipal. Iran now accounts for approximately 90% of the world production of saffron. The plant grows to a height of 20–30 cm (8–12 in), and sprouts 5–11 white and non-photosynthetic leaves known as cataphylls. These membrane-like structures cover and protect the crocus’s 5 to 11 true leaves as they bud and develop. Only in October, after most other flowering plants have released their seeds, do its brilliantly hued flowers develop; they range from a light pastel shade of lilac to a darker and more striated mauve. The flowers possess a sweet, honey-like fragrance. Saffron is not all of the same quality and strength. Strength is related to several factors including the amount of style picked along with the red stigma. Age of the saffron is also a factor. More style included means the saffron is less strong gram for gram, because the color and flavor are concentrated in the red stigmas. Saffron from Iran, Spain and Kashmir is classified into various grades according to the relative amounts of red stigma and yellow styles it contains. Grades of Iranian saffron are: “sargol” (red stigma tips only, strongest grade), “pushal” or “pushali” (red stigmas plus some yellow style, lower strength), “bunch” saffron (red stigmas plus large amount of yellow style, presented in a tiny bundle like a miniature wheatsheaf) and “konge” (yellow style only, claimed to have aroma but with very little, if any, colouring potential). 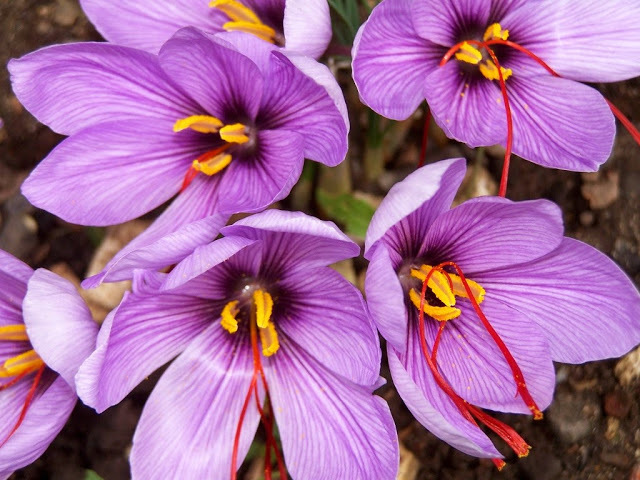 Grades of Spanish saffron are “coupé” (the strongest grade, like Iranian sargol), “mancha” (like Iranian pushal), and in order of further decreasing strength “rio”, “standard” and “sierra” saffron. The word “mancha” in the Spanish classification can have two meanings: a general grade of saffron or a very high quality Spanish-grown saffron from a specific geographical origin.